Even beyond the expected fantastic elements, author Mark Morris (also responsible for the highly recommended stories House of Blue Fire and Plague of the Daleks) delivers an engaging, richly nuanced story that offers more fascinating bits of character business and interplay than is par for the course, with an further underlying message bubbling barely beneath the surface well worth attending to. There are personal dramas and familial issues aplenty. Edwin and Hector Tremayne (the former portrayed by no less than Cradle of the Snake veteran and Poirot’s delightful Captain Hastings himself, Hugh Fraser; the latter by Geoffrey Breton of Bernice Summerfield tale HMS Surprise) have a difficult father son relationship, marked by an all too typical disconnect betweeen the parent’s ideals and the child’s own persona, direction and will. Phoebe Whitlock (Rosanna Miles of Justice of Jalxar) is a lonely orphan princess of sorts, well provided for but left friendless and effectively imprisoned in their ever more lightly staffed estate. Her father Nathaniel (Tim Bentnick of early Colin Baker/Flip adventure Wirrn Isle) abandons all business sense and ever worsening financial concerns to embark on his boyish adventures alongside devoted if superstitious Native American companion Silver Crow (John Banks, The Wrong Doctors and Spaceport Fear), whose primitive beliefs may have more applicability to the situation than may at first seem apparent. 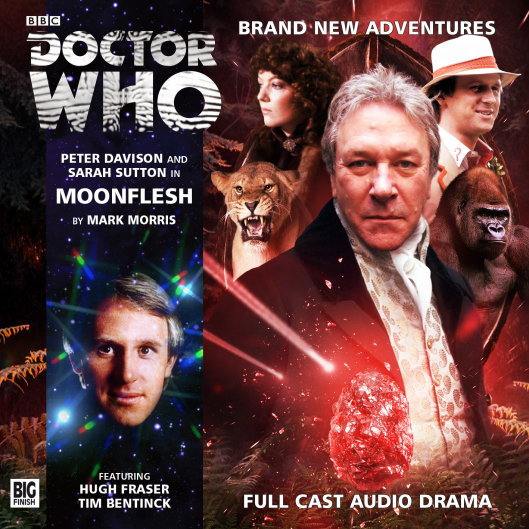 Hearkening back to two of my all time favorite Big Finish releases, the early Davison/Nyssa adventure Land of the Dead and the McCoy/Klein effort A Thousand Tiny Wings as well as such disparate yet similarly outstanding entries as Horror of Glam Rock, Enemy of the Daleks, Night Thoughts or arguably even …Ish, Moonflesh ascribes to a tradition of stories which align to a very basic and primal archetype, related but superior to the hoary ‘old dark house’/locked room mystery and one which bears far more of a real life applicability, particularly in an increasingly random and chaotic global paradigm: that of the siege mentality. With enemies without and schism within, the easiest reference for most is the zombie film, as initiated by George Romero’s 1968 sociopolitical metaphor Night of the Living Dead. While Moonflesh is far less pointed than any text Romero ever put his pen to, it does have a decided message underscoring and driving its narrative and clearly contrasting some very regressive and quite progressive viewpoints on life. Wisely, Morris chooses a sort of practical rational middle ground between the two, leaning towards the greater efficacy and wisdom of the more developed latter while still acknowledging merit to not wholly abandoning the caution and fallback option associated with the former. While Whitlock is shown to be something of a blustering, chest thumping nincompoop who deludes himself into believing the simplest solutions are the best (and concomitantly, that his position, regardless of any mediation of objective reality, is always the right one), neither is the idealistically ivory tower viewpoint of a Nyssa particularly lionized. Quite correctly, the Doctor himself notes the respective merits of both sides, and chooses a relative middle ground betwixt the two. Nonetheless, and much like the aforementioned Land of the Dead and A Thousand Tiny Wings, Moonflesh raises the sadly perennial issue of imperialism, colonialism and the callous, blustering self interest of the moneyed self-styled “elites”. Where Sylvia O’Donnell in A Thousand Tiny Wings was more driven by jingoism and a racist failure to accept that native cultures (or in fact any group unlike themselves) could possibly have any merit, much less similar footing, rights or worth, Shaun Brett in Land of the Dead was motivated solely by financial elitism and a sort of aesthetic collector’s mentality. But where both meet and intersect with Moonflesh’s ‘great white hunter’ Nathaniel Whitlock is in a more basic failing of this sort of backwards leaning, privileged ‘old guard’. In a fascistic, nigh-black magickal imposition of one’s own self-centered will on the environment they inhabit, all three attempt to upset the natural order – sociological, environmental, interpersonal – by mere dint of their ability to buy complaisance if not a grumbling silence from the better portion of those whose lives they cluelessly, or worse, deliberately impinge upon. And being the real world and not some Randian fantasyland, this can only go on for so long before the rubber band breaks, and not only those who caused the problem, but all of us are faced with the lasting, devastating consequences. Sadly, and with a jaw dropping disconnect from reality and delusional belief in their supposed ‘entitlement’, ‘superiority’ and sociopathic misapprehension that they are always magically ‘in the right’ simply because it’s them and not the rest of us, these sort of omnipresent leeches of society continue to proliferate and multiply in number, mainly due to the inherent childish selfishness underpinning their Randian/Nietzchean elitist power fantasies. In effect, without ever truly “growing up” and learning some very basic childhood lessons (sharing, teamwork and respect of the rights, feelings and basic dignity of others on an equal level to those of oneself), each and every one of us falls by nature into this very blinkered worldview and degenerate rut of action and belief. 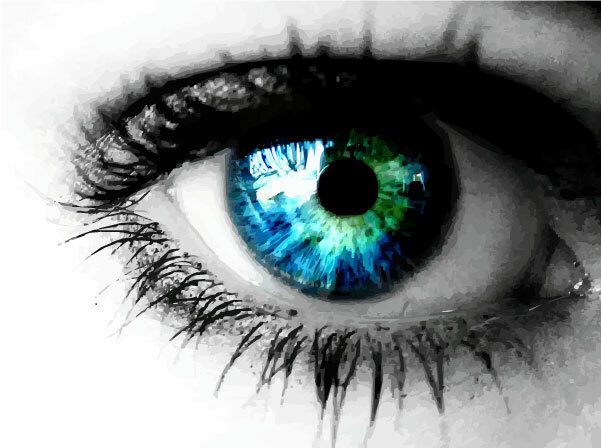 Or to simplify matters to a very basic aphorism, an adult sees the big picture. A child sees no further than their own needs and reward. Seeing everyone outside themselves and their immediate circle as the ‘drains’ and ‘leeches’ on the socioeconomic (and eco)system that they themselves more accurately represent, such would-be ‘power brokers’ (many of whom socioeconomically actually belong to the impacted underclass, serving as a mind bogglingly deluded fifth column of sorts in acting against both their own and our collective interests thereby) drain and chip away at the foundations of civilized society in the real or prospective interest of filling their own coffers at the expense of the rest of us: a true dog eat dog, Social Darwinist dystopia hearkening back to the days of the turn of the century robber baron if not the serfdom and fiefdoms of the Dark Ages. As the Doctor’s equinanimous position punctuates, there are dangers aplenty to swinging wholly to either end of the sociopolitical spectrum. One must be able to protect one’s own family and interests, after all, and a swing too far to one direction becomes equidistant to one from the other. In simpler terms, is a Mao or Stalin truly any different, much less better, than a Hitler or Franco? Or for that matter, a diet consisting wholly of grains, plants and soy really any healthier than one solely comprised of meats? (If there’s any question in the mind of the reader, the answer to both is a decided and resoundingly historically proven no). As the situation with Vatus points out quite succinctly, the naivete often associated with strongly progressive approaches to society bears significant dangers of its own, for few things or situations in this world can be taken and accepted at face value. Nonetheless, unless we individually and collectively awaken to (and point out to all who have ears to hear) the insidious underpinnings and ultimate end of the sort of unchecked and unenlightened self-interest discussed earlier herein, the world as we know it will continue, with increasing rapidity, to devolve into the sort of atavistic lows not seen in several lifetimes since. And if there ever was a more relevant, vital message to be spread among the strangely compliant general public of our day, then I haven’t heard it.